I’ve just been listening to a wicked mix of Angolan party music courtesy of those tropical jocks over at Sofrito – just what’s needed to brighten up this gloomy November afternoon! The mix has been put together by Paulo Superfly who runs the Superfy record store. It’s not up for download, but I suggest you head over to the Sofrito site and get listening…! Super prolific Brumaican MC Serocee has been going from strength to strength lately, dropping more hot cakes than an arthritic baker. His new track ‘Parking Meter’ produced by Heavy Feet is no exception – With his inimitable quickfire chat effortlessly riding a stuttered beat and bubbling bass you know this one’s gonna do some serious damage on dancefloors all over the shop. Once again we’ve been lucky enough to be asked to programme a number of acts on one of the stages at this year’s WOMAD Charlton Park festival. Jazz clubs? Reverential, hallowed sanctums that resemble public library reading rooms, where chin-stroking and moderate head-nodding are permitted but anything more audible than a mouse’s whisper is greeted with a silent chorus of disdainful stares. Yes? Well, nobody told Soil & ‘Pimp’ Sessions that was how to behave. Firing off scattergun drums and blowing furiously on horns as if the next breath will be their last, this Japanese collective play what they’ve coined ‘death jazz’ – the point at which the seemingly incompatible spirits of free jazz and heavy metal converge and entwine. This isn’t music as precious artefact. Their live shows are raucous, high-energy occasions that aim to turn the interaction between jazz musician and audience into more than “a transmitter/ receiver relationship”. Purists might turn a blind ear but they’re unwise to. Think you don’t like jazz? Go see this bunch and prepare to have your preconceptions turned inside out. Ghislain Poirier has little respect. OK, let’s re-phrase that. The producer/remixer from Montreal isn’t too cap-doffing or reverential when he gets his mitts on a tune that he’s eager to bend and reshape to his own means. No rules, no restrictions. Indeed, The Fader magazine was spot-on when it suggested he only respects a song’s “empty spaces because he can fill them with exploding bass”. And exploding bass is very much his calling card. Bashing together hip-hop, soca, dancehall and grime, what emerges is something very much wearing his fingerprints but at the same time something that chimes with his worldwide following. And, most importantly, it’s irresistibly danceable too. Signed to the indomitable Ninja Tune label here in the UK, Poirier’s collaborated – or shared stages – with the likes of Burro Banton, Diplo and Kode9, and his most recent commission is remixing the first single from the new Gotan Project record. His time is now. “I’m probably more disobedient with regards to what is acceptable for a hip-hop artist to do,” Ty once remarked to The Independent, “but I don’t know whether that should be titled with the word alternative. I hate that word.” Whatever he thinks he is, the South Londoner has cemented an enviable reputation as one of the most thoughtful and poetic of British rappers – indeed, one of his four albums, 2003’s Upwards, snagged the ears of the nomination-declaring Mercury Prize panel. His list of acolytes (including Damon Albarn and Lily Allen) is only overshadowed by the queue of his collaborators – people like De La Soul, Arrested Development, Blak Twang and the Scratch Perverts, as well as Afrobeat king Tony Allen, lover’s rock legend Carroll Thompson and jazzer Soweto Kinch. Patrolling such a varied musical landscape shouldn’t be seen as disobedient. It’s merely the sign of a keen, inquisitive mind. Are you ready for the ‘tropical discotheque’? Of all the DJing jobs in all the world, the gig that helped Don Letts make his name would have been coveted by many. As the record-spinner at London’s iconic punk hangout The Roxy in the late ’70s, it was he who introduced roots reggae to our safety-pin-wearing chums, bringing together two otherwise disparate scenes and planting the seeds of the highly influential Rock Against Racism movement. Since those days, Don has moved through an interesting landscape. He’s been a member of Big Audio Dynamite and a highly regarded film-maker (his productions include The Clash’s Westway To The World documentary and – remember this? – the video to Musical Youth’s Pass The Dutchie). Most recently, Don’s had his own show on wonderful, wonderful 6Music. He remains the foremost expert on the punk/reggae crossover and this knowledge continues to inform his DJing sets, transporting listeners to another time, another place. If you could travel back in time to The Bronx in 1979 to tell the assembled hip-hop pioneers that their music would one day utilise the services of a barbershop quartet, you’d be the recipient of some very queer looks indeed. But that’s part of what Kormac’s Big Band delivers. The multi-membered extension of the solo work of Dublin’s DJ Kormac, the band have been described by Radio 1’s Annie Mac as “the most bizarre set-up I’ve ever seen – but it really works”. The 11-piece’s live shows really rock the joint, providing a lively, vivid incarnation for their leader’s tunes – the barbershop quartet are joined by drums, double bass, trombone, clarinet, trumpet and banjo. But at the head of it all, calling the shots and conducting proceedings, is Kormac himself, the master of this new kingdom where scratching meets banjo. Who’d have ever thunk it? Not those guys in The Bronx, that’s for sure. The name should be a clue. The ‘steppa’ part refers to their love of dubstep; the ‘jazz’ references the fact that, having originally met at a jazz festival, they never take to the stage without a decent arsenal of horns. For this is the world of JazZstePpa, the collective dedicated to taking dubstep – the ultimate sound of solitary, bedroom-bound music-makers – out to the live arena, armed with (gasp!) real, steam-powered instruments. This meeting of digital beats and trombones , trumpets and saxes is unlikely but deeply affecting, the brooding paranoia of the former somehow reassured by the warmth and human effort of the latter. Oscillating between their twin homes of London and Berlin, JazZstePpa have captured the pulse and the pace of the modern European city, a soundscape every bit as mesmerizing as their absorbing live shows. Futuristic but also fun, this is the sound of both today and tomorrow. “I’m always thinking of the turntable.” DJ Kentaro is a singular chap, a man who eats, drinks, lives and breathes beats and breaks – a sonic architect who can’t help but plan his next musical construction. And the one after that. And the one after that. Although still on the sunny side of 30, Kentaro has a list of achievements that stretch from here to Tokyo and his crowning glory undeniably remains his ascension into DJ royalty when he triumphed in the 2002 DMC World DJ Final. He was just 20. Since then, his reputation has advanced beyond merely (merely!) being a supreme, quick-wristed jockey of the discs. His creations – drawing from hip-hop, breaks, drum & bass and turntablism – are complete, full-bodied works that appeal well beyond hip-hop’s trainspotting brigade. As IDJ magazine correctly called it, it’s “not only spotty geezers in puffas and baseball caps who need to look out for him”. 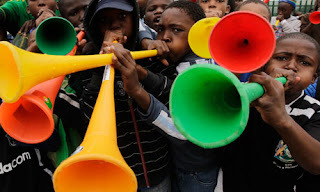 Love them or hate them, you can’t ignore them – the king size rave horns known as vuvuzelas are a massive part of this years world cup finals. I personally think they’re great, and would quite happily take one with me to all my DJ gigs. So, yesterday I snapped one up from my local vuvuzela outlet and knocked up this riddim as a tribute….. HOOOOOONNNNNNKKKKK! Mr Benn’s latest single is finally out on our very own Square One Sound label. Everyone’s favourite ragga hip hop skanker is back with another brilliant release on his very own Square One Sound label that’s sure to make your batty wind. Mr Benn has been buried in the studio, recording day and night in readiness for his debut album release later this year. As anticipation grows for the main event, he brings us a taste of things to come with his new single ‘Police’. A fusion of dancehall and hip hop, Mr Benn has bubbled up a stuttered riddim, horn led, low end theory for long time collaborator Blackout JA to flow over in his inimitable style, creating a call to arms in response to the ever growing divide between the public and local constabulary. Remix action comes courtesy of two of the finest producers to drop onto our radar in recent times. UK’s The Magic Fly comes correct with two remixes, both of which bring that boom bap, bass heavy style that’s bound to make your hands clap. Canadian beat smith Jpod turns it on it’s head, lacing the vocal with a broken beat, wonky dancehall riddim that sounds like nothing else you’ve heard. Both remain true to the original but give it fresh legs in the unique style of each remixer.